All eyes are on Netanya! A delegation of aid and welfare organizations from South American countries came to learn about the experience of giving in Israel at Yad Sarah in Netanya. This is how we illuminate the world in which we live. The Yad Sarah branch in Netanya is a large, central, and important one. The many volunteers at the branch are skilled in helping clients with each of the various services available at the branch. Assisting all the residents of the Sharon, they know how to give with a full heart, but how did they suddenly become ambassadors for the State of Israel? 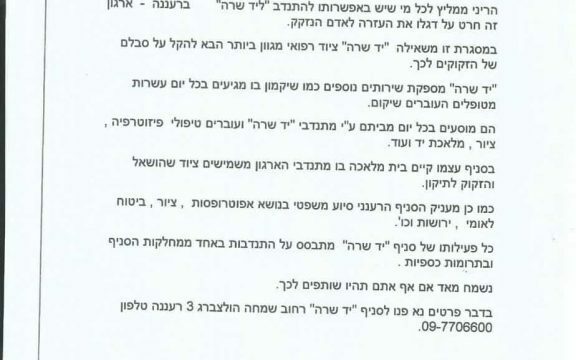 When the Foreign Ministry bus stopped at the parking lot of Yad Sarah’s huge service center in Netanya, the volunteers thought the driver had made a mistake in the address. What do they have to do with the diplomatic activity of the State of Israel? The tour guides explained that they had just come to learn, that the directors of aid organizations throughout South America wanted to understand how to create an organization like Yad Sarah. 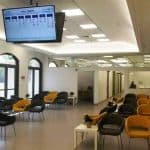 They wanted to understand how Yad Sarah manages to help anyone who reaches out for assistance, how Yad Sarah contributes to Israeli society, and there was no doubt – they had come to the right place! Even with obvious differences in language and culture, generosity and the spirit of giving brought these two groups together. That is how we become a light onto the nations of the world!